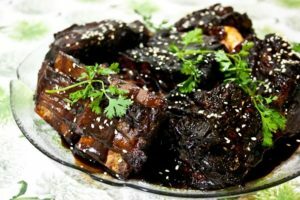 Place short ribs into a 6-qt slow cooker. Stir in soy sauce mixture until well combined. Cover and cook on low heat for 7-8 hours or high heat for 3-4 hours. In a small bowl, whisk together cornstarch and 1/4 cup water. Stir in mixture into the slow cooker. Cover and cook on high heat for an additional 30 minutes, or until the sauce has thickened. 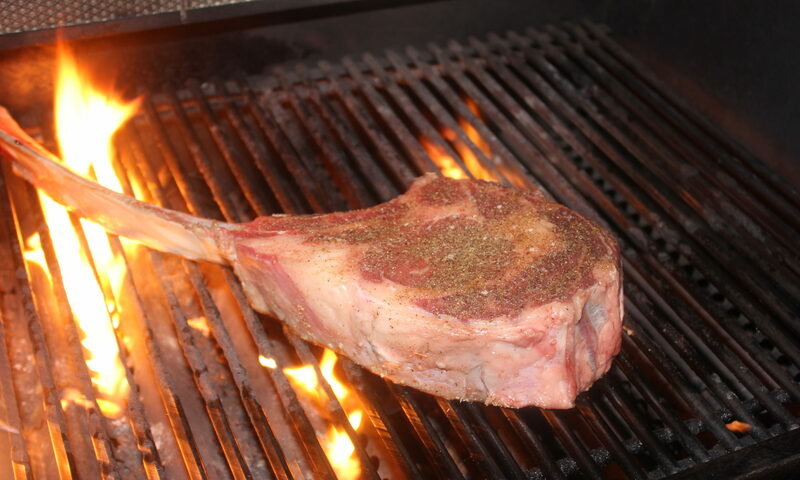 To test for doneness, pull on a bone as it should slide out freely. Serve immediately, garnished with parsley and sesame seeds, if desired.